Look who is still hanging around! 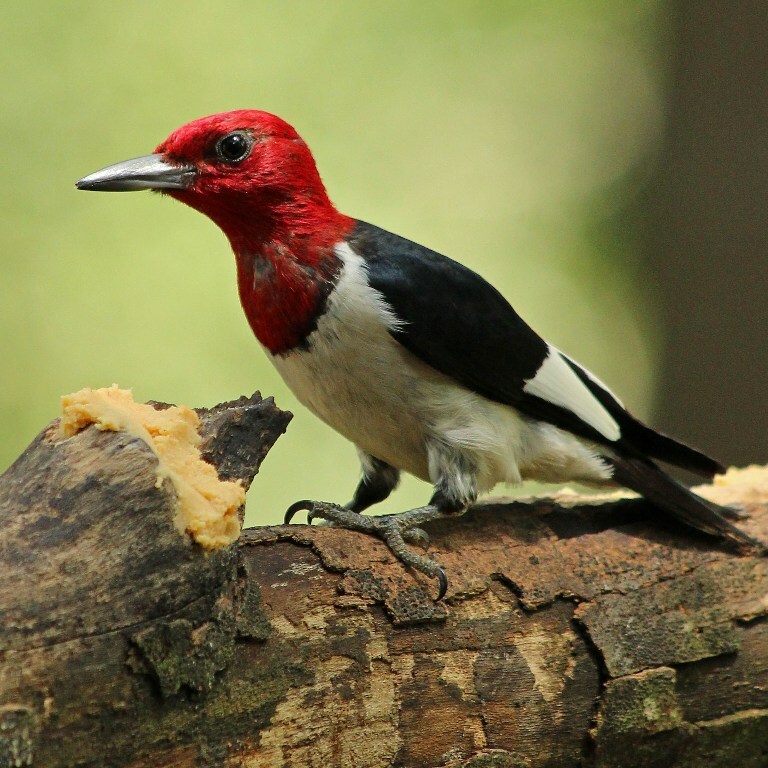 My Red-headed Woodpecker showed up yesterday and landed on the Bark Butter branch. He seemed bit more alert and on edge than usual, glancing about several times before heading over to the food. He eventually started to eat, but was quick to flash an open-beaked glare at any other birds that got too close. 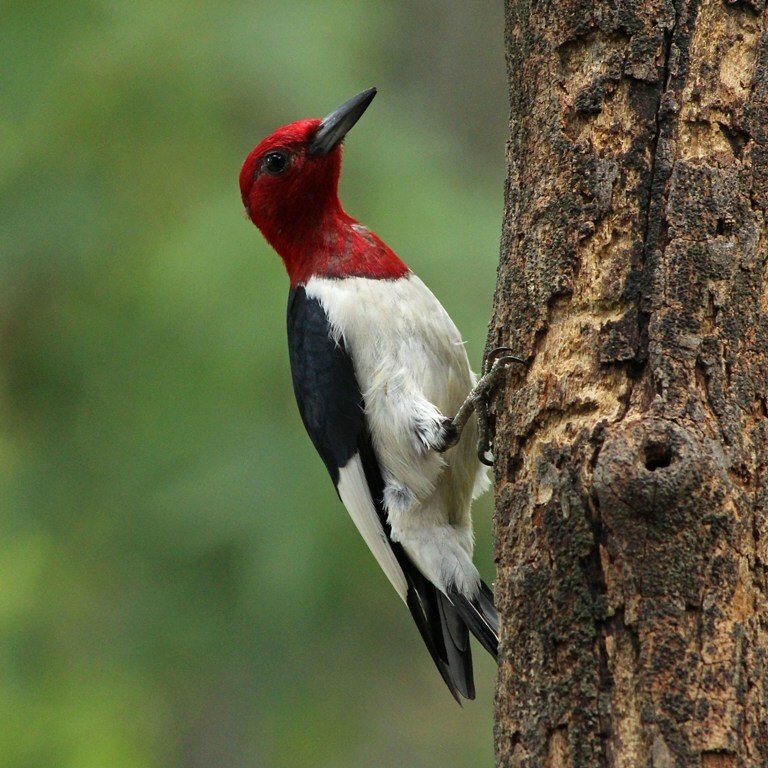 In fact, before landing on the branch he had already chased away a Red-bellied Woodpecker and a young Hairy Woodpecker. 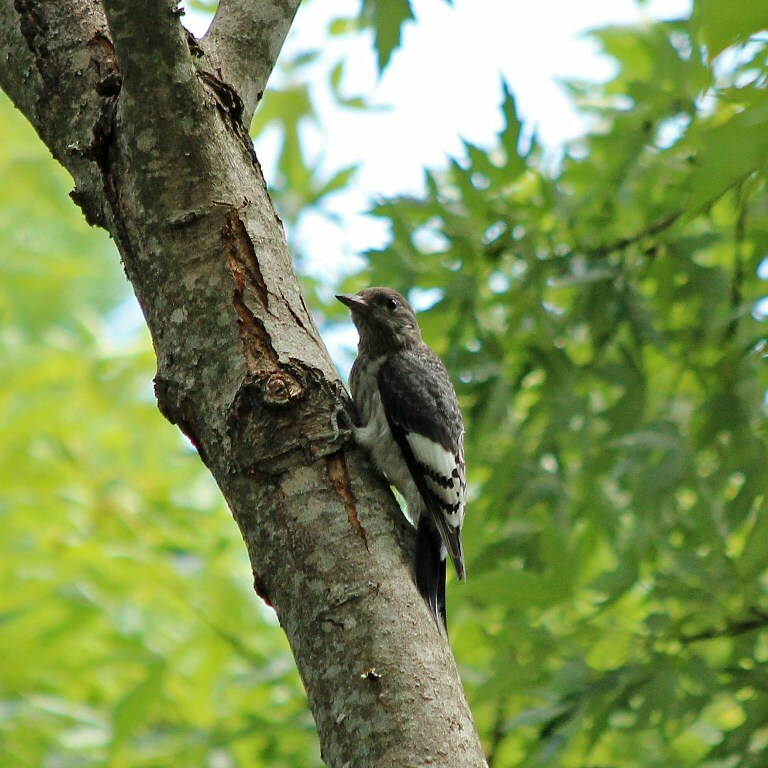 Hmmm…extra alert and extra aggressive…sure enough…perched in the treetop at the edge of the yard was the baby he brought with him. I hope this little guy comes closer one day soon so I can get a better picture, but isn’t it wonderful how well he is camouflaged! Now, I’m not really sure if the adult is a Mama or a Papa, but I’m dubbing him a Dad -we’ll just call it blogger’s prerogative. Anyway, Dad flew off with a beakful of food and then returned about ten minutes later for round two. Is he not just exquisite! 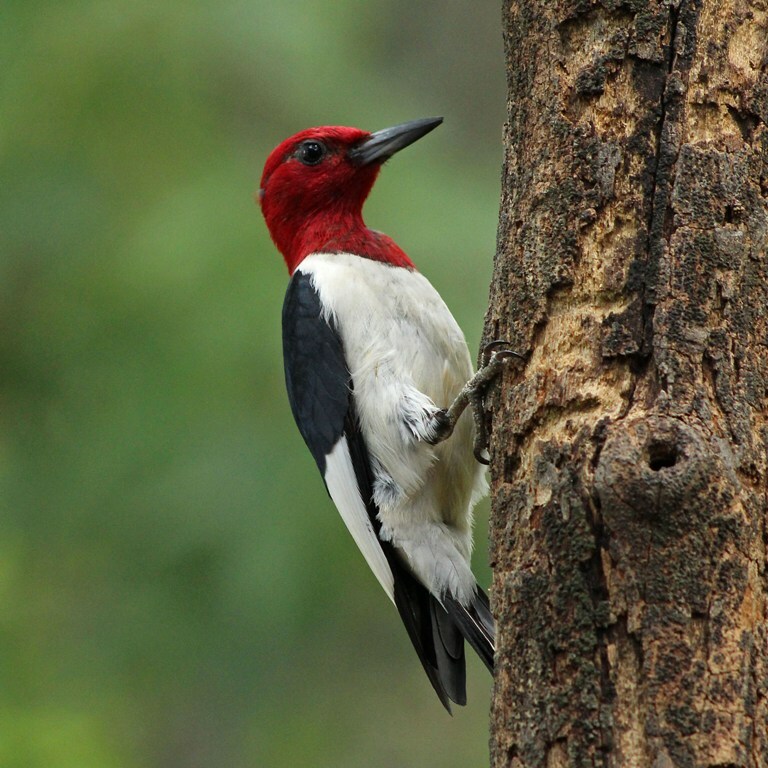 I have never had a Red-headed Woodpecker come around as often as this one, so I have been beyond thrilled to have him as a regular visitor. 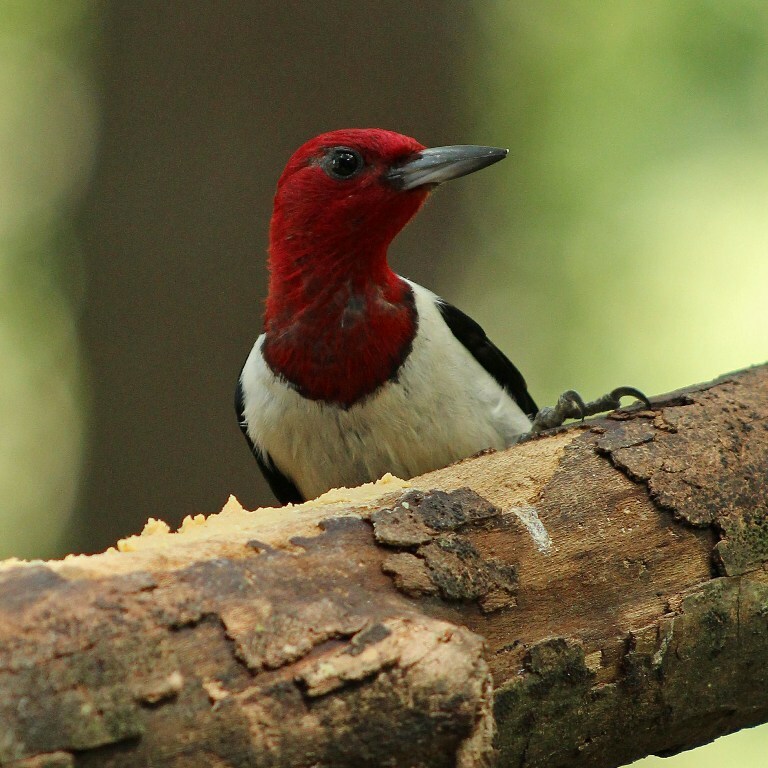 This entry was posted in Backyard Birds and tagged backyard birds, beauty, bird watching, hobbies, nature, photography, red-headed woodpecker, writing. Bookmark the permalink. Wow, Kathy! Oh and the baby just melts my heart! These are stunning shots, absolutely stunning. No artist could ever resist these. Thank you (imagine that all in caps)! Particular the first with such great shading, will make my job easier (haha I should say “should”, as I never know how they will go)! Bless you! I was so thankful his desire for to get food for Junior outweighed his skittishness of me with the camera! Great pics of a stunning bird Kathy! What a lovely series, and I do hope the chick gets closer in coming days! You are good at spotting things. 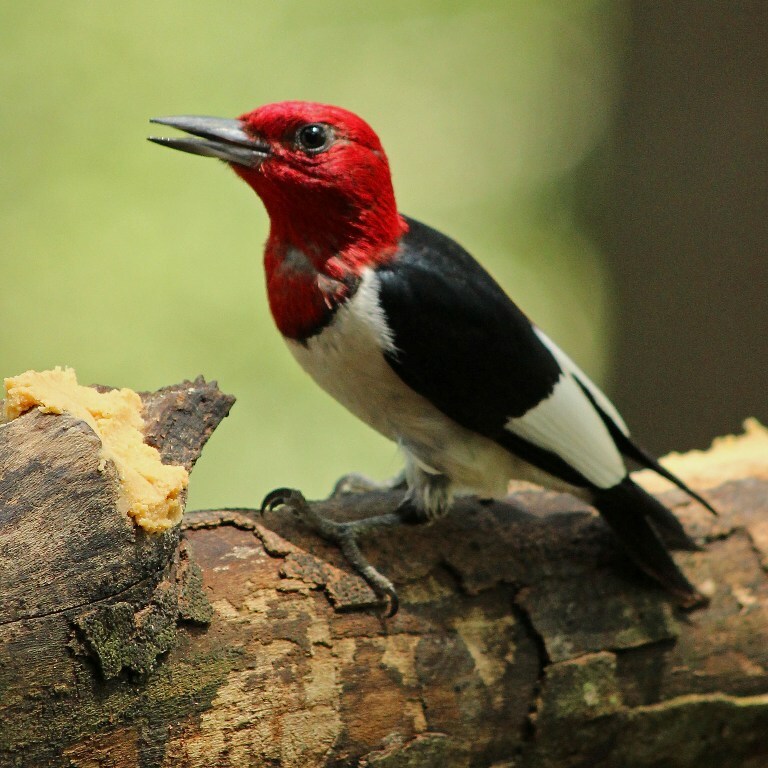 I wouldn’t have known the chick was a woodpecker. 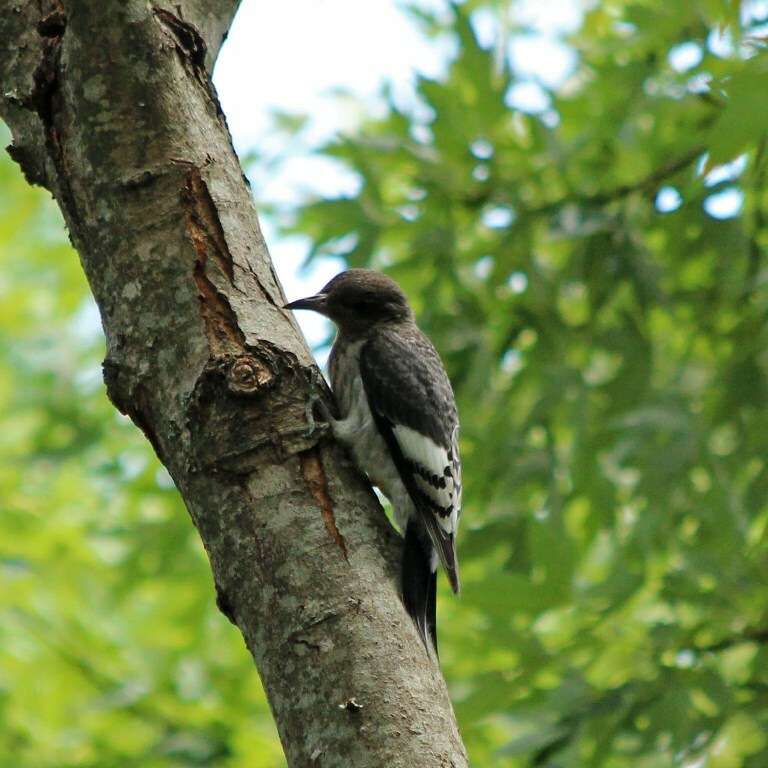 I happened to see his wingbars when he flew from one tree to another…otherwise I would have been oblivious! Great shots. Must be truly wonderful to have all these birds around. It really is…especially since I live in the suburbs of Atlanta. Could you hear me yelling all the way out in the northwest? If you could see him in person you would fall instantly in love! Kathy he is gorgeous and I would be so excited if he was visiting my yard. 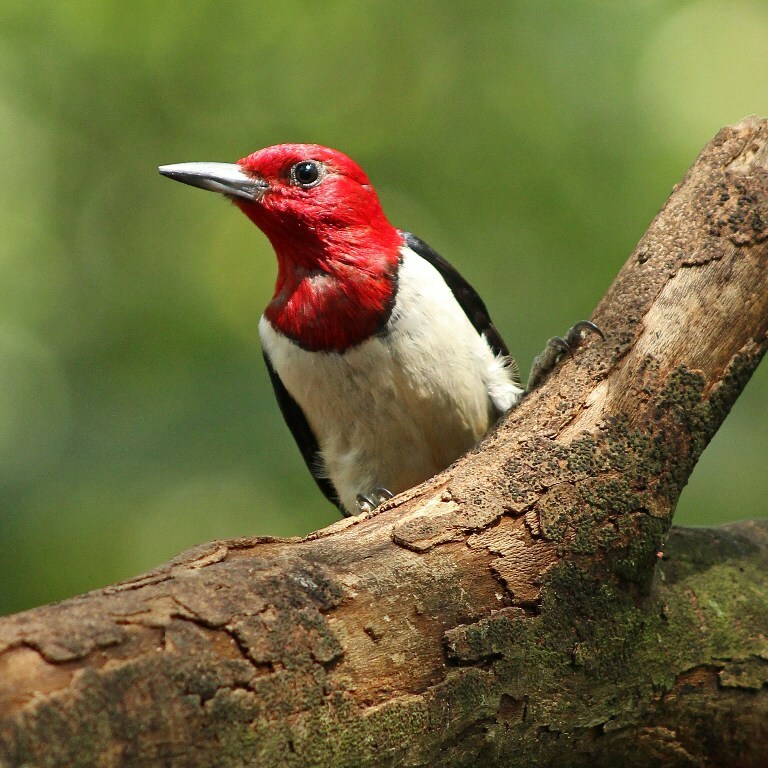 Your photo’s capture his spirit, those bold colours and a glint in his eye. I’m in love. He is incredibly dashing! And you get all his best angles in your photos, Kathy! You are SO lucky to have this handsome visitor. Of course, it is a result of the beautiful habitat you have set up, so it is no wonder he returns often. Fantastic shots and especially good to see the baby.